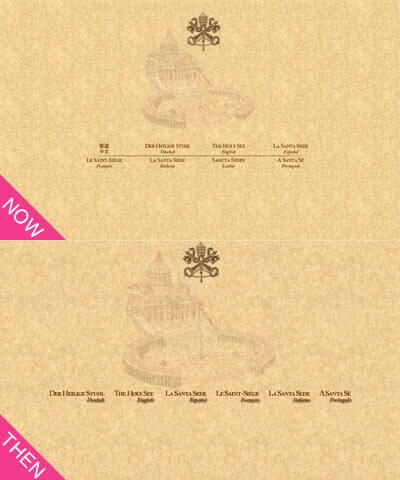 To celebrate the Pope’s recent failures, I thought I’d check out how the Vatican’s website looked in 1998. Rather appropriately for an organisation who have difficulty dealing with change, they have kept it more or less exactly the same for 12 years. It’s just shrunk a bit. This entry was posted on March 24, 2010 at 11:24 pm	and is filed under The Vatican. You can follow any responses to this entry through the RSS 2.0 feed. You can leave a response, or trackback from your own site.